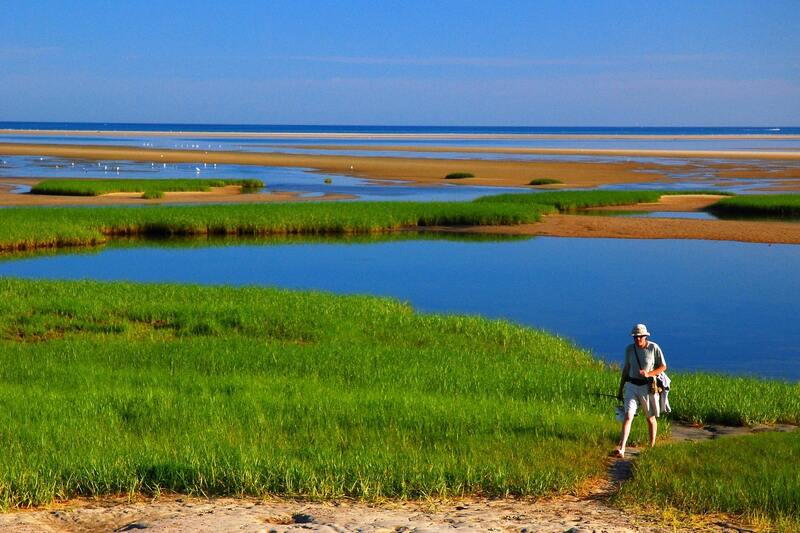 Summer is the perfect time of year to explore the great outdoors and soak up some sunshine and good times on Cape Cod. Whether you’re looking to lounge in the sun at the beach or go on a hike through the forest, there are a variety of activities to enjoy by land or by sea. One of our favorite on land is an adventure at Nickerson State Park in Cape Cod. This almost-2,000-acre preserve features some incredible hiking and biking trails. You will discover a variety of wildlife among the many trees, ponds, and marshes. 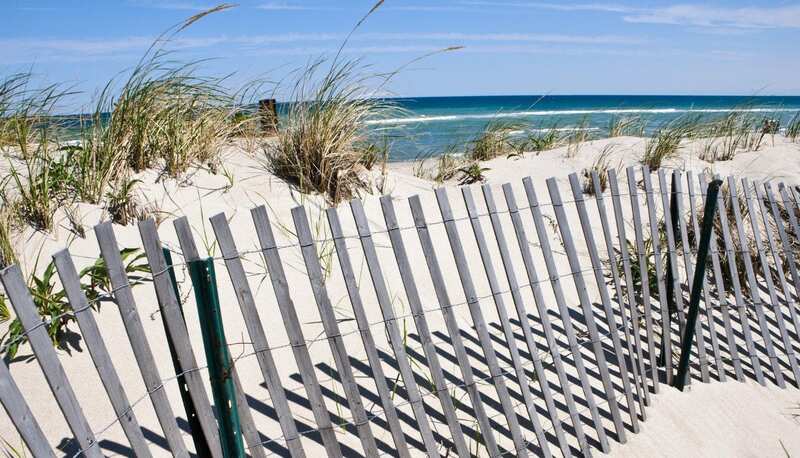 Download our Vacation Guide for even more ideas on how to spend your summer trip to Cape Cod! There is quite a network of hiking trails throughout the Nickerson State Park in Cape Cod. The sand dunes and salt marshes of the coastline will retreat as you ascend into an oasis of lush hills and pine forests. 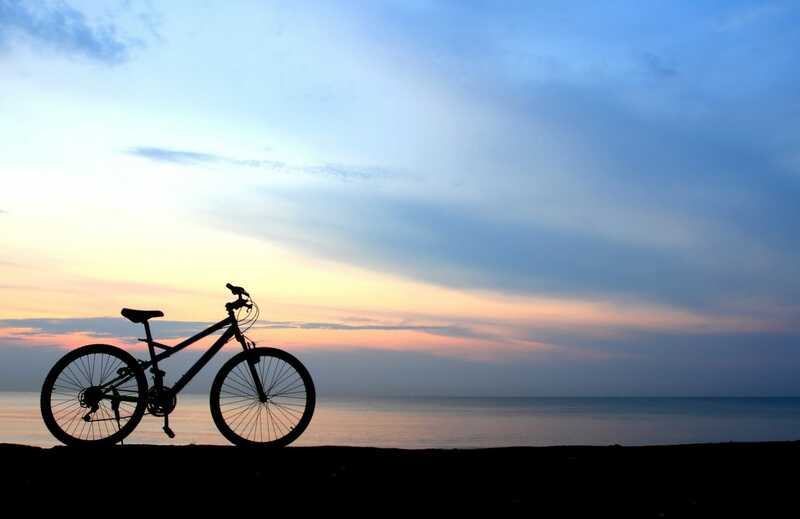 Whether you choose to bike or hike, these trails offer a variety of accommodating terrains. There are over 8 miles of trails for you to enjoy on your leisurely or athletic outing. One of our favorite trails within the park is the Cliff Pond Trail. This 2.8-mile loop is perfect for packing a picnic lunch, adventuring through the trees, and discovering a unique swimming location! There’s this whole phenomenon around wild swimming, e.g. 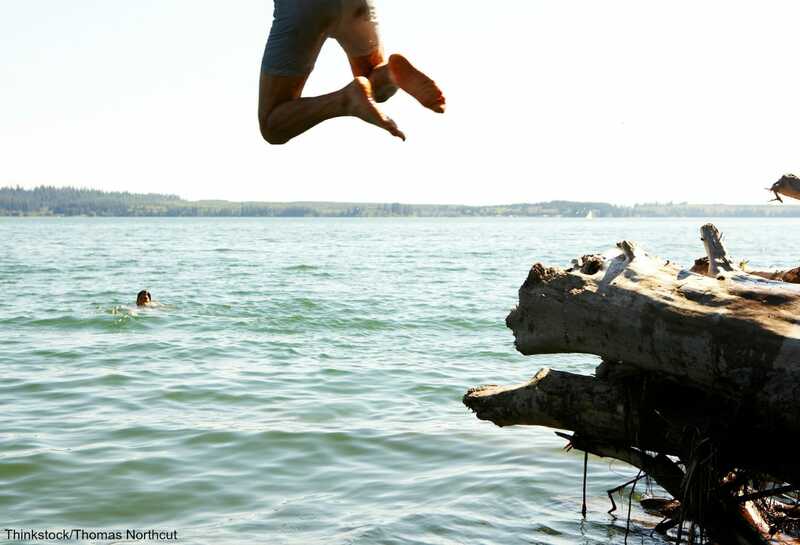 swimming in natural lakes, rivers, and the sea. And much more excitement is involved than swimming laps in a neighborhood pool. At Nickerson State Park in Cape Cod and particularly Cliff Pond in Brewster, there is a wonderful wild swimming opportunity. The beautiful surrounding landscape of the natural environment brings an added level of rejuvenation. Discover a roped off section dedicated specifically to this form of recreation. You can also revel in the lack of dangerous rip tides, currents, waves, and sea life. With stunning, clear water and warm temperatures in the summer months, you will appreciate this unique activity! You can also go boating here, with canoe, paddleboat, and kayak rentals available at the beach. Your summer vacation would not be complete without an outdoor expedition! Whether you choose to spend your time in the sun at the beach or exploring the Nickerson State Park, we hope you enjoy a fantastic nature retreat. Continue your Cape Cod getaway with a stay at our beautiful bed and breakfast. The Candleberry Inn is the perfect place to return to for rest and relaxation. Enjoy our peaceful gardens, beautiful rooms, and delicious treats served throughout the day. You will love our modern amenities as well as our historic charm! The ideal guest space for a nature retreat is our Treetops Room. With the whispering branches of 200-year-old oak and maple trees outside your windows, Treetops offers second-floor privacy in our Carriage House, steps away from the Main Entrance. This room shares a semi-private deck with our Seabreeze Room, and together the two rooms are perfect for a larger group getting away together! Treetops features a queen brass bed, sitting area with loveseat – which can accommodate a third guest – as well as a private bathroom with shower. Plan your summer vacation at Candleberry Inn today!